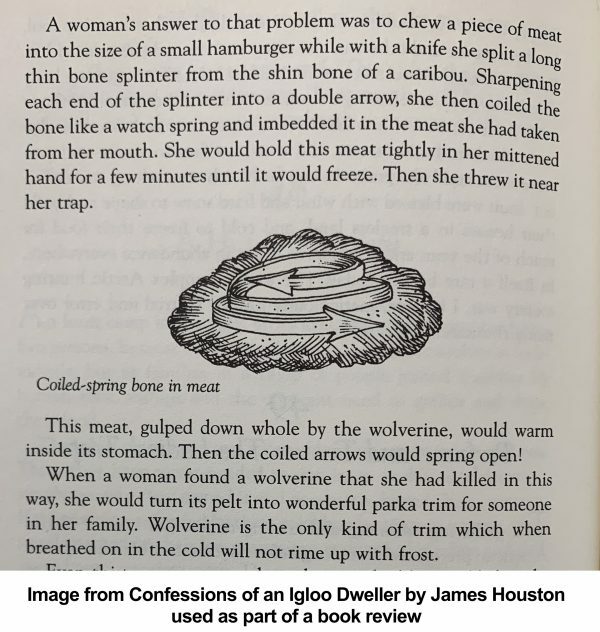 Confessions of an Igloo Dweller: The Story of the Man Who Brought Inuit Art to the Outside World by James Houston. McClelland & Stewart, 1995. 0771042728. 322pp with numerous illustrations by Houston. My buddy Mac tells a lot of stories about working in Alaska, and after I gave him Michel Hellman’s graphic novel Nunavik (about his trip there from Montreal), Mac started trying to push his collection of James Houston books on me. I resisted because I don’t read many biographies. I shouldn’t have. 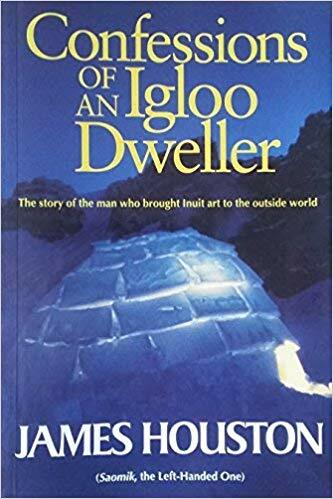 Houston lived in the Arctic from 1948 to 1962, working as an art buyer seeking to create a market for Inuit sculpture and an agent of the Canadian government. It sounds like the jobs were just an excuse — Houston was drawn to what is now Nunavut and its people, and I think he would have done anything to live there as a young man. 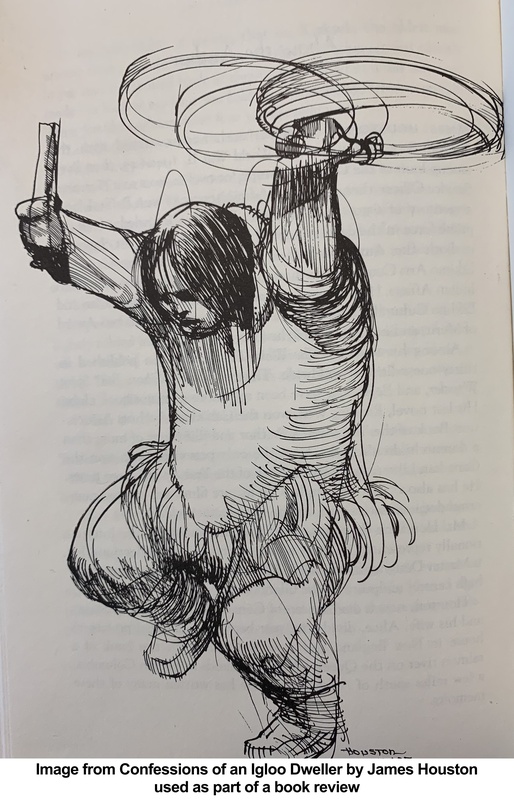 His tales are roughly chronological, and include adventures he lived (the most harrowing of which was when his young wife had a problem with her appendix, and had to be taken by dogsled to get medical help that was days away) as well as traditional tales he was told. He makes life in the far north sound incredibly difficult, but his delight at living there with his family and friends is always clear. Bonus: Houston was an artist, and when called for, his spot illustrations clarify whatever he’s explaining to those of us not lucky enough to share his experiences. Houston wrote other books about life in the arctic, many of them novels for young people. At the risk of creating a long wait for myself, many of his books can be borrowed for free from the Internet Archive if you set up a free account.